The Blue Ridge Marathon has been on my radar for several years but this year was the first that it fit into my schedule...and that I was fit enough to tackle the challenging event, which appropriately claims the title of "America's Toughest Road Marathon." 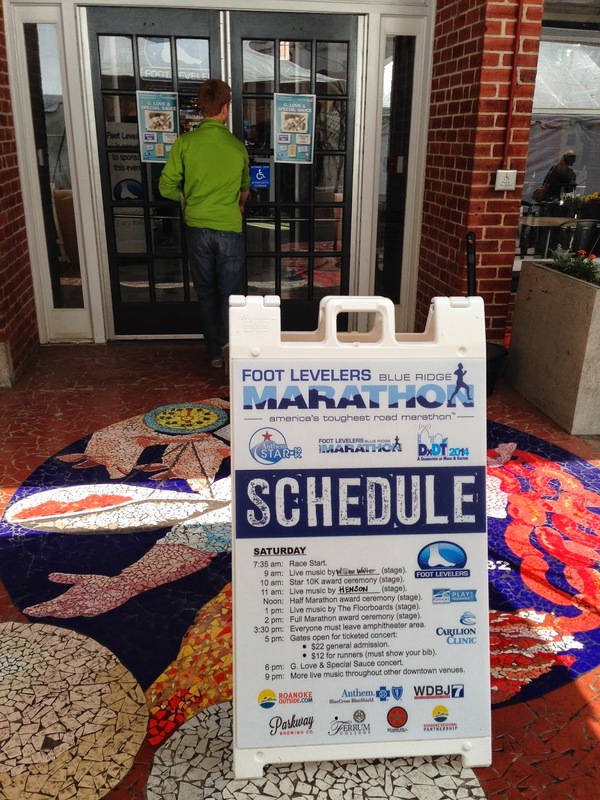 On Friday, after a fun day with the middle schoolers, I made the short trip to Roanoke to complete packet pick up. 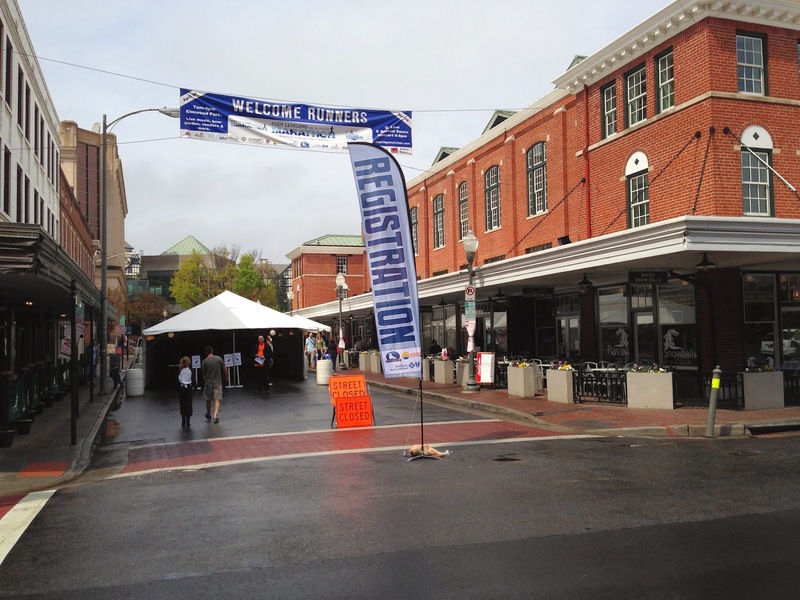 Packet pick up was held in downtown Roanoke at the City Market Building, which is centrally located in downtown and houses numerous takeout restaurants including Queso Southwest Grill, Hong Kong Restaurant, and All Sports Cafe. I'll address the location a bit later in the post. In an effort to beat the crowds (mission accomplished) I arrived at the expo, which began at three and was open until eight, slightly after 3:30pm and walked right up to the table to retrieve my bib and a friends bib who was running the half marathon on Saturday. 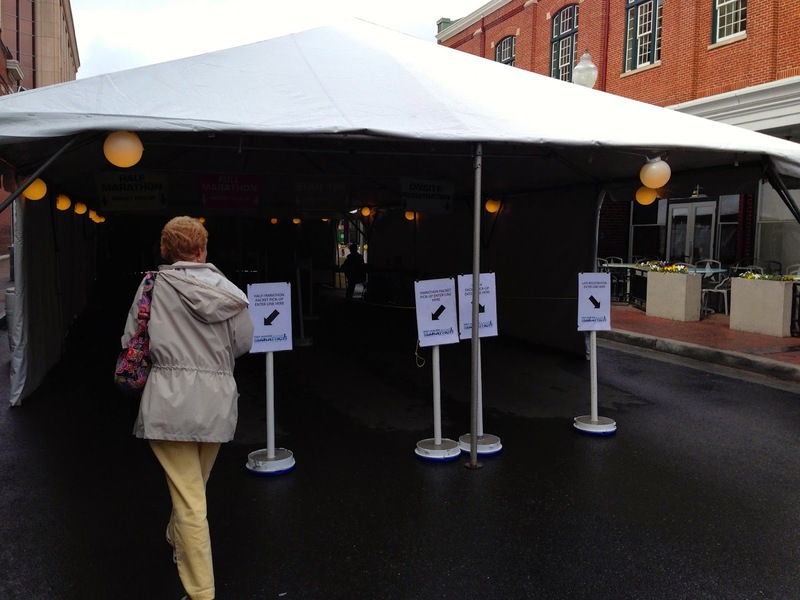 The tent outside of the City Market building is where runners picked up their race bib before heading inside to find the expo and race shirts. There were plenty volunteers (wearing obnoxiously bright orange shirts) giving directions and helping participants find their bib numbers for those of us that forgot to look it up before couldn't remember our assigned bib numbers. 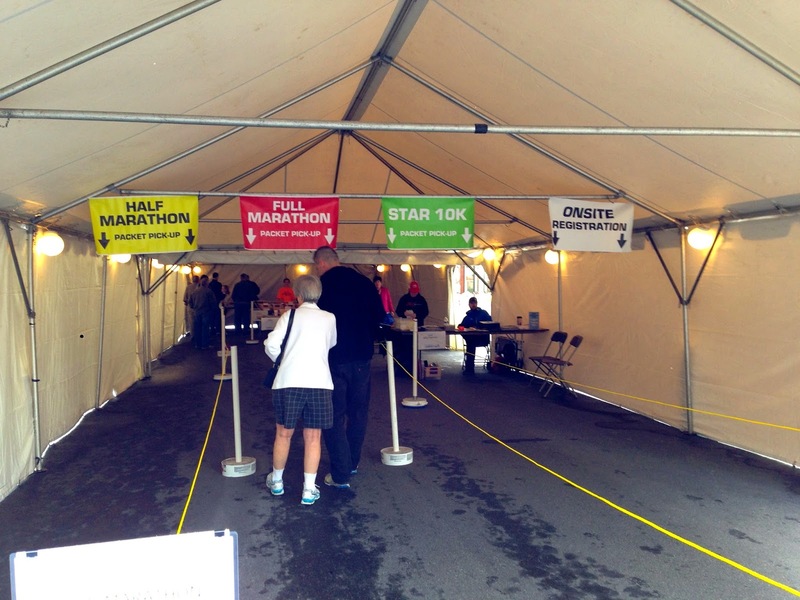 For a relatively small race, less than 2000 runners for the full, half, and 10k combined, the expo was appropriately sized and had most things a runner would need the day before a race. 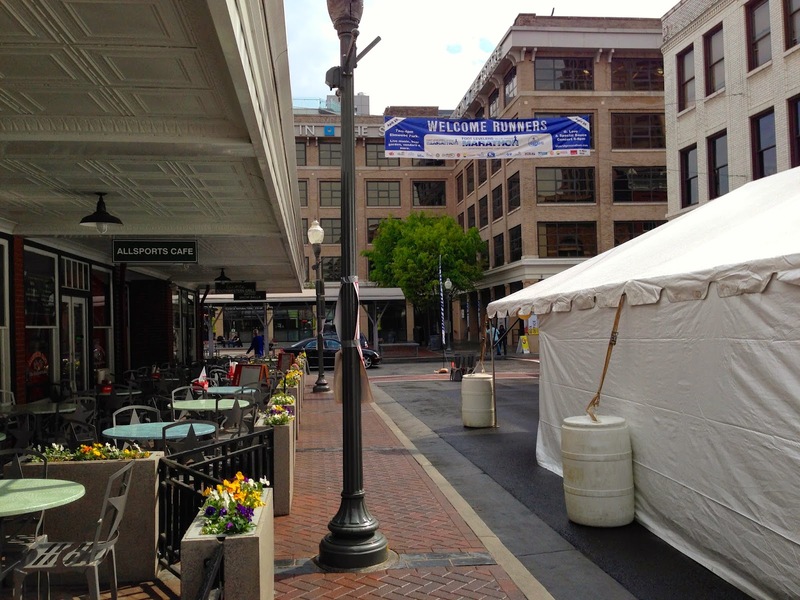 I headed toward the loft on the left where runners could pick up their race t-shirt. I like that the race shirts are differentiated by color for the three lengths: blue = full, green = half, and yellow = 10k. Too often race organizers make only one shirt for an event that has both half and full options. I enjoyed running into my old advisor (undergrad) Linda Vick, who is one of the nicest individuals I've met and was volunteering at the expo directing runners and running the half the next day! After grabbing shirts, I headed down the stairs to check out the "rest of the expo." 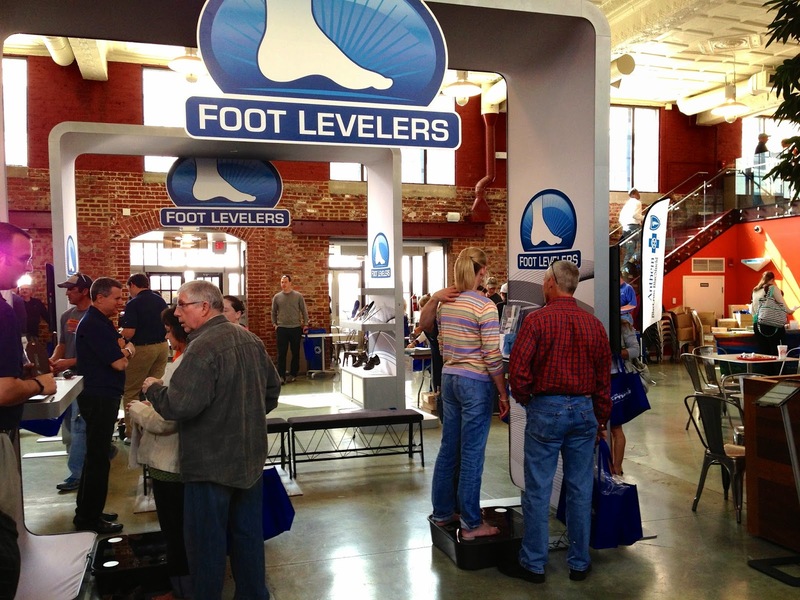 Foot Levelers, a custom orthotic company, is the title sponsor of the race and had a pretty elaborate setup at the expo. 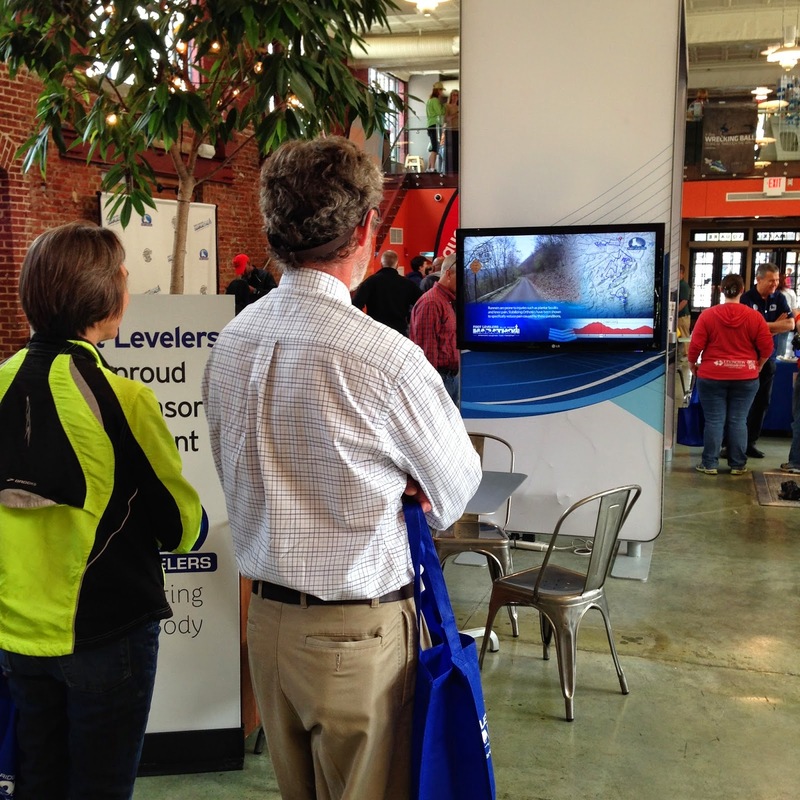 Mounted on their massive display was a large flatscreen TV that had a course preview sped-up on loop, which allowed expo attendees to preview the entirety of the course in roughly 10 minutes. I saw this for the first time at Rock 'n' Roll USA last spring, the race that I proposed to Michelle in the middle of. You can watch the video of the course HERE. The photo to the left shows runners standing on some type of foot scanning device...I didn't stay around long enough to see the entire process. 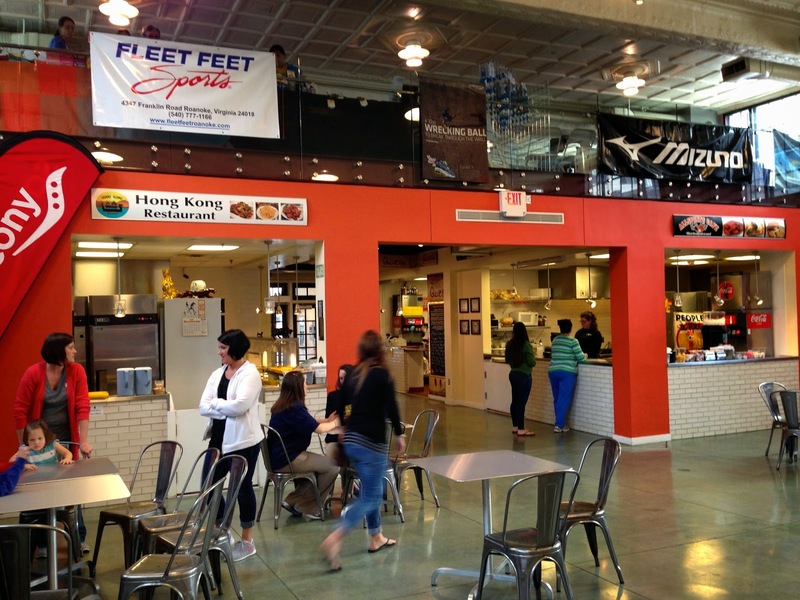 I mentioned earlier that the City Market Building where the expo was held also housed several dine out restaurants. I found it incredibly cruel that the race organization choose a location full of delicious aromas tempting even the most strong-willed runner's self-control. I'm quite proud that I made it out of the expo without a burrito, cheeseburger, or ice cream cone and felt that even if I didn't finish the race the following day that my self-control was medal worthy. After taking in the vendors and grabbing a blue tote bag with free stickers, tattoos, and other misc. 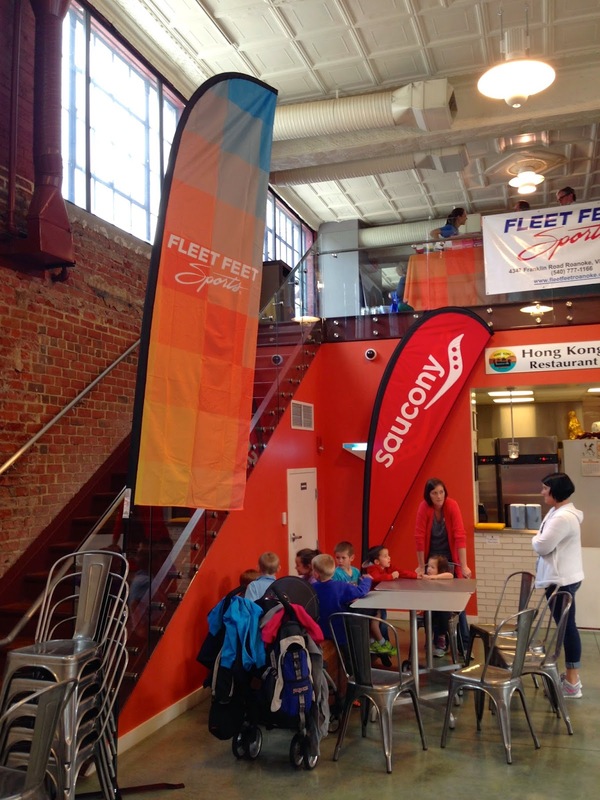 promotional stuff, I headed up to the other loft where Fleet Feet Sports had a vast array of running products. Unfortunately, I didn't take a photo while I was up there shopping but my takeaway for the day was seven Vanilla Bean Gus for Saturday. There was also the typical runner/race apparel available for purchase and they even had a Hoka Rep. there to talk about their maximalist shoes. Of course, if you wanted a pre-race "hold your bib in front of you photo," which I'm guilty of having taken in the past there was a Blue Ridge Marathon banner to do so! On my way out of the expo, I noticed the local news was interviewing runners about why they choose the Blue Ridge Marathon. 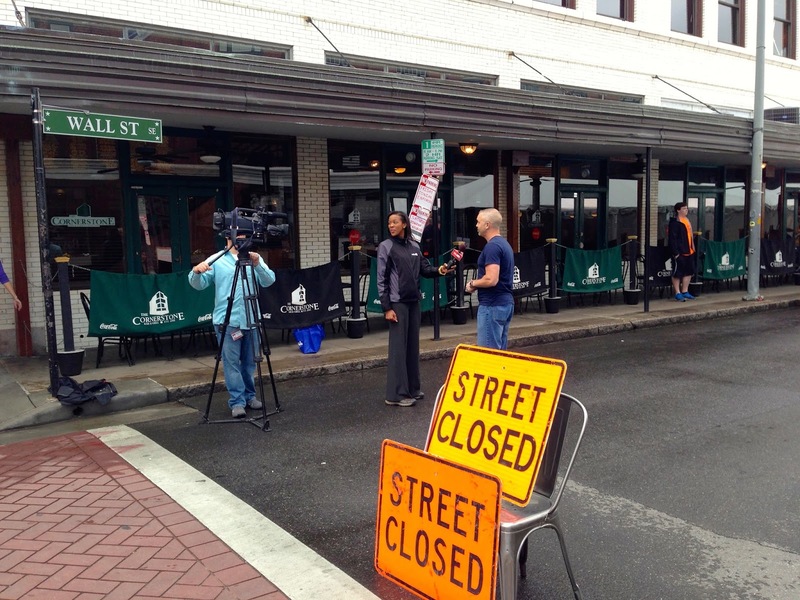 As a side note, WDBJ7 did a phenomenal job covering the race providing live coverage of the race in addition to taking photos and creating time lapses of the event. With Gu purchased and bibs and shirts collected, I decided it was better to call it a day and head home to get some pasta in my belly before the ensuing long run. As I was leaving, I grabbed this photo of the newly completed square in downtown Roanoke. This was a parking lot that was really convenient if you wanted to grab something from the farmers market on the weekend but the pedestrian square they replaced it with is very nice too! 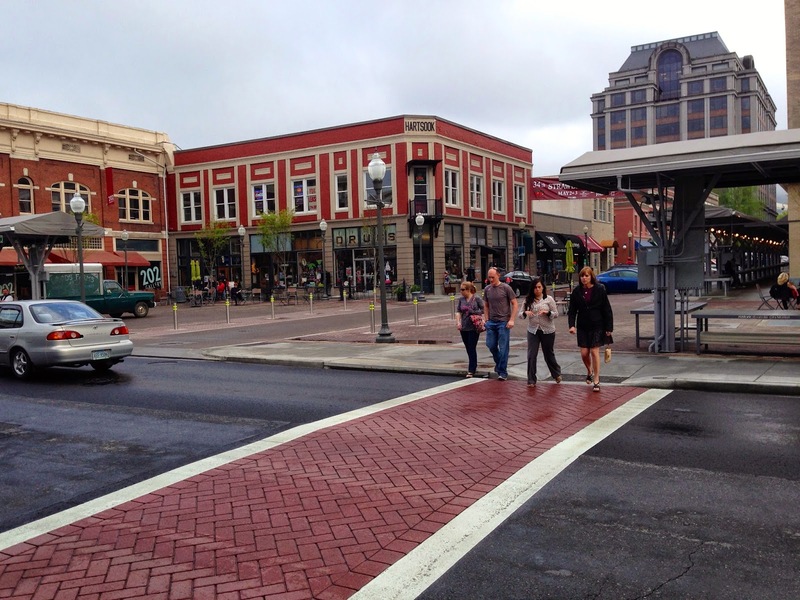 I was trying to grab a panoramic shot of the square when the light turned green and the cars began to move. Notice anything funny about one of the trucks? It moved forward just as I got to the front end resulting in a squished pickup. Traffic was just starting to pick up as I as leaving a little after four and the parking garage had quite a line to get out. One note for future participants, the parking garage off Campbell Ave SE DOES NOT accept cards as a form of payment. I only realized this, despite having been there 10 or more times(?!?) when I handed them my card and the guy gave me a frightened look. Fortunately, there were a bunch of folks behind me so the guy wrote an IOU (which I plan to mail!) and let me go on my way. However, on Saturday during race day parking at the garage was FREE!!! So participants find this garage next year and enjoy free parking two blocks from the race start. Stay tuned for my race report including how I managed to take 28th overall after faltering in the second half of the race dropping from 11th place! 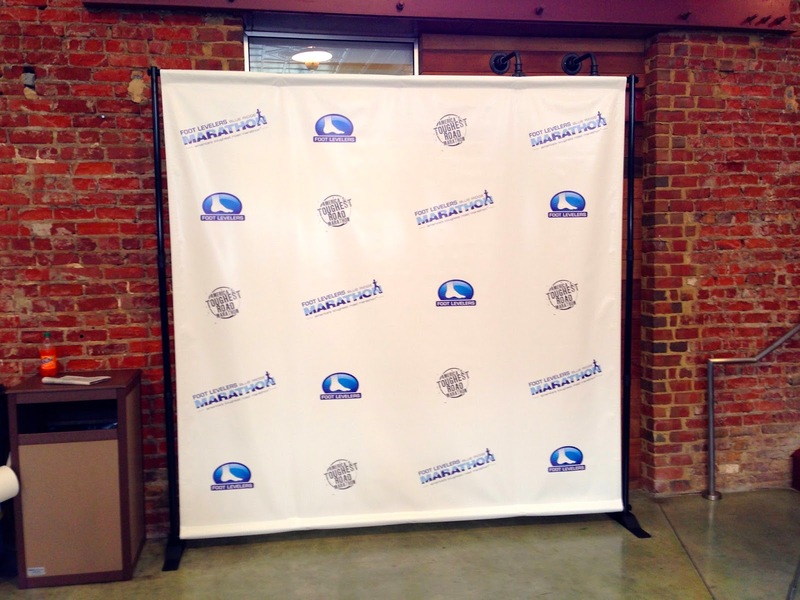 Posted by Unknown at 3:28 PM , Links to this post , 0 comments I'm reading from MyDailyGround: Pre-race Post: Blue Ridge Marathon Packet Pickup and Expo Tweet this! Synchroblog: Why Do We Run? In second installment of UltraVT synchroblog, I was tasked with coming up with a topic that "had a little controversy" and would ultimately promote good discussion within our group. I suppose one neat thing about participating in the synchroblog with a group of likeminded college students is that, as intellectuals, we can appreciate and embrace differences in opinion without feeling like our beliefs or values are being challenged. That's the beauty of the entire thing; new perspectives promoting and fostering a rich dialogue among friends. I have a personal struggle with motivation that teeters on an unhealthy addiction. I often have a feeling of guilt until I cross off that days mileage. It made me think. What drives me to run? I think it is important to reflect and reevaluate periodically, taking a step back see the bigger picture. I'm excited to read what my peers have to say as I think it is a challenging topic but relevant as ultrarunners because of the inevitable "but why do you run so far?" What role does running play in your life? For me, it is important to continually remind myself that running is something I do and NOT who I am. This is a big one in my opinion, especially in our generation, because we keep such busy schedules and are so driven to climb the ladder or get to the next "thing" that we hardly stop to enjoy the moment. 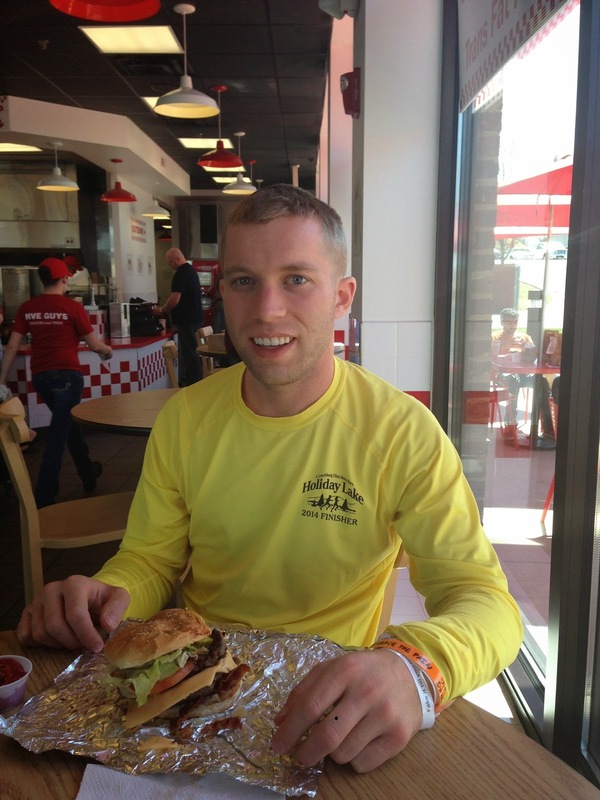 For instance, last Sunday morning I completed a massive accomplishment by finishing my first 100 mile race. A race that I devoted a huge amount of time, energy, and money toward...and it was over in the blink of an eye...erm...in less than a day?!? You know what I mean. Michelle and I discussed before Umstead 100 that I would NOT sign up for another race in the week following Umstead. Rudy, without any knowledge of this discussion, made sure to tell Michelle to "not let me sign up for any races the week after." I'm proud to say that I didn't. That's not to say I didn't look but I didn't pay for or actually sign up for any races. Small victories. The point being that, we are often too quick to think about what's next that we rarely stop to appreciate the things we have, or in this case have recently accomplished. I think by not signing up, I savored the success of completing my first 100 mile race in a stylish fashion. Further, I would argue that I'm the happiest I've ever been following a race. 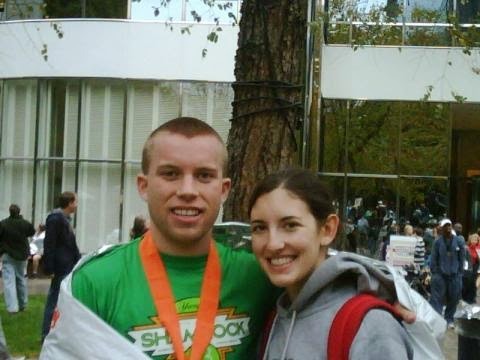 I spoke with Kristen about this on our run on Sunday morning, the post race depression. After months of planning, training, and hard work the event is over and far too often is over in a fashion that does not meet our idea of "success." We justify our performance by telling ourselves "I could've done this differently" and "I should've trained this way" never being satisfied with our performance. I believe this is an inherent trait of runners, specifically runners who consider themselves "endurance athletes." Running, in this way, is both productive and equally destructive. The coin is two sided; races and events serve as source of focus and drive when motivation is lacking to train and simultaneously act as selfish pursuits of achievement that are detrimental to relationships, professional goals, and social lives. I spoke with some friends about this in early February as I expressed my concern about how selfish training for a 100 mile race is and the toll it was taking on all three of the above mentioned aspects. Training placed an additional, and entirely unnecessary, burden on Michelle to pickup my slack while I spent hours running each weekend. It was entirely unfair. So why continue to do it? Simple: mental balance. Now, I understand all the aforementioned selfish training and unfair talk in the previous paragraph is enough to warrant hanging up the sport altogether. But since I began running again in late 2011, I've been a happier and more balanced individual than I can ever remember. Getting out the door, even if only for a few miles, gives me an opportunity to clear my head, unwind from a long day, and personally reflect on my life and behavior. It's my thinking time. Selfish? Absolutely. But do I feel that I am a better friend, son, teacher, and fiancé (soon to be husband) because of it? There's not a doubt in my mind. I don't think anyone, or at least very few, individuals who run 100 miles races and put in 60+ mile weeks can do so unselfishly. The compromise then is choosing and pursuing races that allow for a resemblance of balance. For me, I need to ensure that running has it's place within my life without taking it over. I started "running" during my sophomore year of high school when I went out for the cross country team in the fall of 2002. I thought of myself as fit and quickly learn just how unfit I was. The team was a blast and we had a few kids on the team who were amazingly talented and naturally gifted with absolutely zero focus and dedication. Huge potential squandered. They made every practice hilarious, mainly because we were high school guys and everything inappropriate seemed funny at the time (why do I want to coach HS again?). 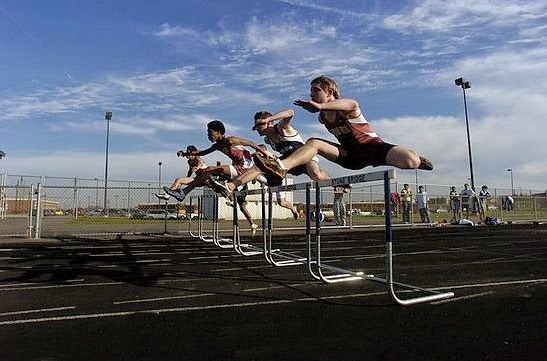 In the spring I decided to participate in track and field and fell in love with the sport. I choose hurdles, despite my scant 5' 3" build, and quickly fell in love with the feeling of flying through the air over hurdles. I'm not sure if I was driven or simply had a chip on my shoulder but I managed to make it to states my senior year and place 7th, good enough for all state honors. Part of the reason I choose to leave my job as an engineer is so that I could coach at the high school level with the desire to help kids find a love of running, or at least pursuing an active and healthy lifestyle. Once I got to college, I would go out for runs sporadically but never with any idea of "training" or consistency. Eventually, a friend persuaded me to sign up for a half marathon, the Yuengling Shamrock half, which I thought I was going to die after. In the fall of 2009 after completing the Journey of Hope, I decided I was fit enough to run a marathon. Little did I know that cycling fitness doesn't necessarily translate to running fitness. I swore I would never do it again. 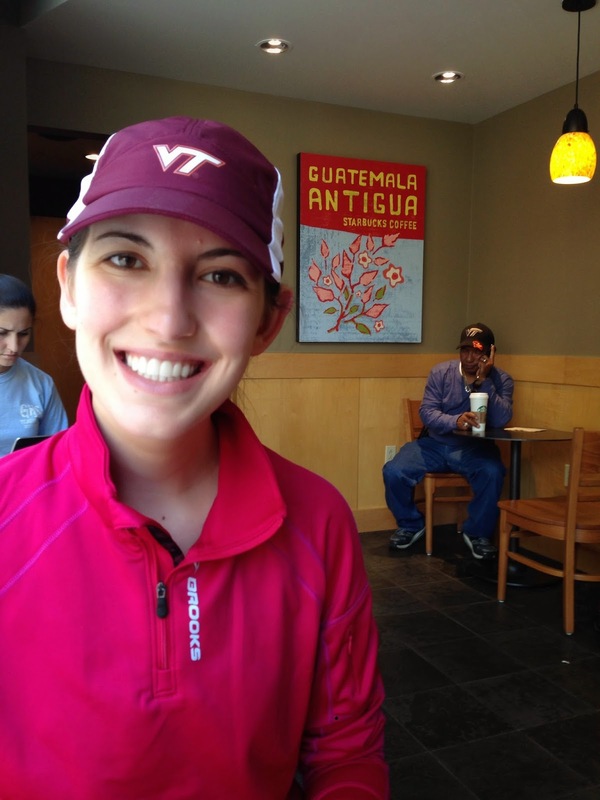 The real catalyst for me signing up for my first ultra was my best friend Jeff sending me a link to Sabrina Moran's blog, who attended William & Mary at the same time that he did. I was hooked and quickly signed up for my first ultra, another terrible idea, the North Face 50M, which I eventually reduced down to the 50k and ran in the summer of 2012. The past few years have been a whirlwind of growing as a runner, specifically developing confidence in my fitness and ability to run beyond my self-imposed limits. If you could only run one last run, where and with whom would it be and why? When I met Michelle, she wasn't a runner but in all fairness neither was I. The first few times we tried running together were...well...disastrous. Running partners need to run the same pace and our paces didn't mesh well together. However, over the years, we've run together when I haven't been training and it has been AWESOME. She knows it's my favorite thing to do together. I know it's one of her least favorite things. We're working on finding a happy medium. I digress. If I had one last run, or could only run one more time before both of my knees gave out, I would want it to be with her someplace beautiful. Just a fun run along the water or a canal or in some new place we've traveled to. Spending time doing what I love with the person I love most in the world. Which is better, trail running or road running? Why? Tough question. I came from a road running background transitioning to longer trail ultras after running my first half marathon eventually my first full marathon. A lot of the runners I know ran a trail 50k as their first long distance race and completely skipped over the marathon distance. I LOVE the feeling of running through closed city streets in a massive road race where you feel like for a few short hours, runners own the roads. On the opposite end of the spectrum, the ultrarunning community is SO much more close knit than the road running community. We endure and suffer together, traversing massive mountains and covering grueling distances. Trail races are limited by the number of runners a trail can accommodate and consequently are more intimate experiences. Road running has my heart but at the moment, trail running has captured my attention and drawn me in. I have a lot of lofty goals involving trail races and really only one that involves road racing, qualifying for Boston. I suppose that's why I think trail running, and ultra distance racing will continue to keep me entertained for the foreseeable future whereas Boston may be more of a "bucket list item." When 6.5 miles seems like 6.5 minutes running with @ultraVT friends. Gorgeous evening for a run and the rain even held out for us! So there you have it! The second installment of UltraVT Synchroblog. All most of us will be publishing this Friday morning. Be sure to click on the links under the UltraVT logo on the right side of the page as everyone else updates their blogs. Writing this post has been an excellent opportunity to organize and consolidate my thoughts into coherent opinions. And they're just that. Opinions at the moment. Perhaps I'll read another runners post and change my opinion. Maybe not. Either way, I'm excited to do another one. Posted by Unknown at 4:00 AM , Links to this post , 0 comments I'm reading from MyDailyGround: Synchroblog: Why Do We Run? Tweet this! 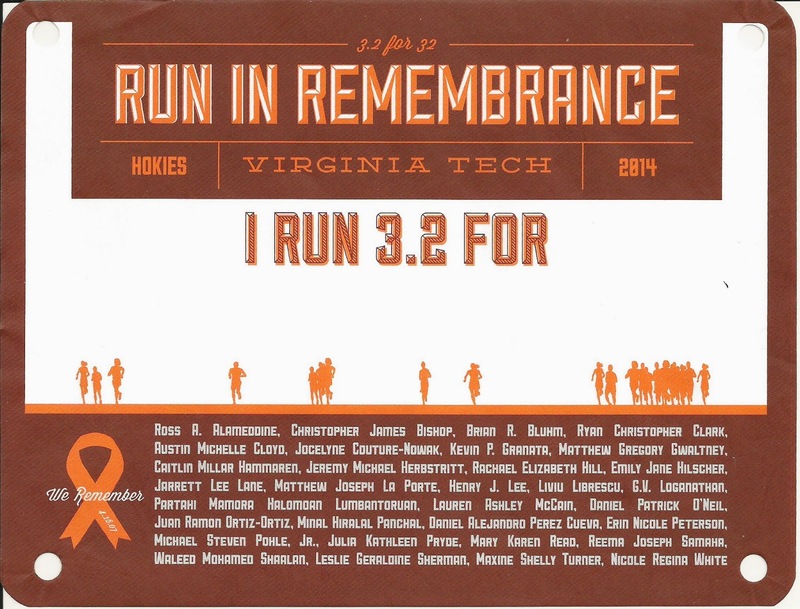 On Saturday, Michelle and I participated in the 3.2 Run In Remembrance held, on the Virginia Tech campus, to remember and celebrate the lives of 32 Hokies that were tragically taken from us on April 16th, 2007. Although Michelle had participated in the run twice before, Saturday was the first time I elected to participate in the run. I'm not sure why...or how(?) I missed participating in the run in years previous but after signing up and then not running last year because of a friends wedding, I made certain to put it on our calendar this year. When Michelle and I discussed the run last week before Umstead 100, I told her I may have to walk it but that I was going to do it! Fortunately I managed not to ever really be sore this week recovering from Umstead 100 and as a result was able to go out and #HaveFun running with Michelle. I digress. 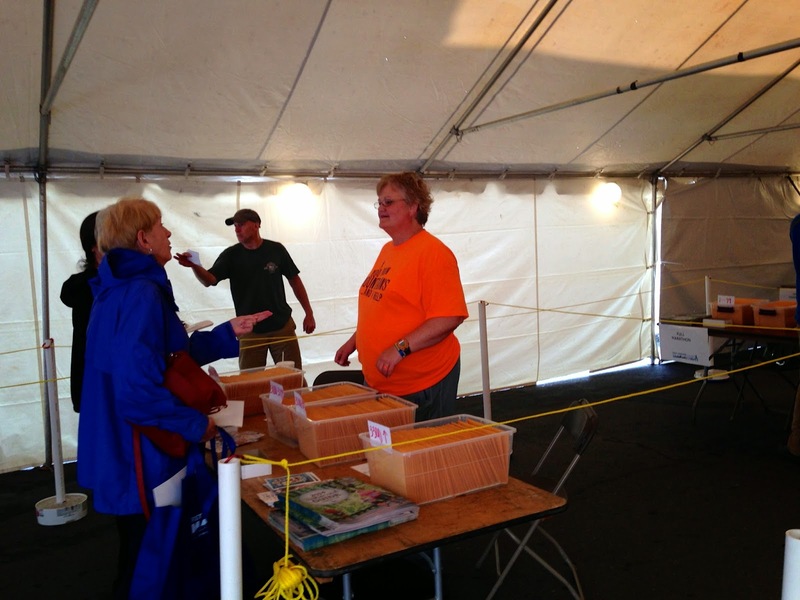 The packet pickup was silly efficient! Appropriate for an engineering school huh? Each participant was given a QR code that was scanned using an iOS device (not too sure here because it looked like iPod touch with a larger scanner handheld attachment on the back that they have/had at Apple stores) that when scanned notified the volunteer whether to distribute a ticket for the free t-shirt. All told, we spent about 3 minutes actually inside of War Memorial and about 10 walking to and from each way. 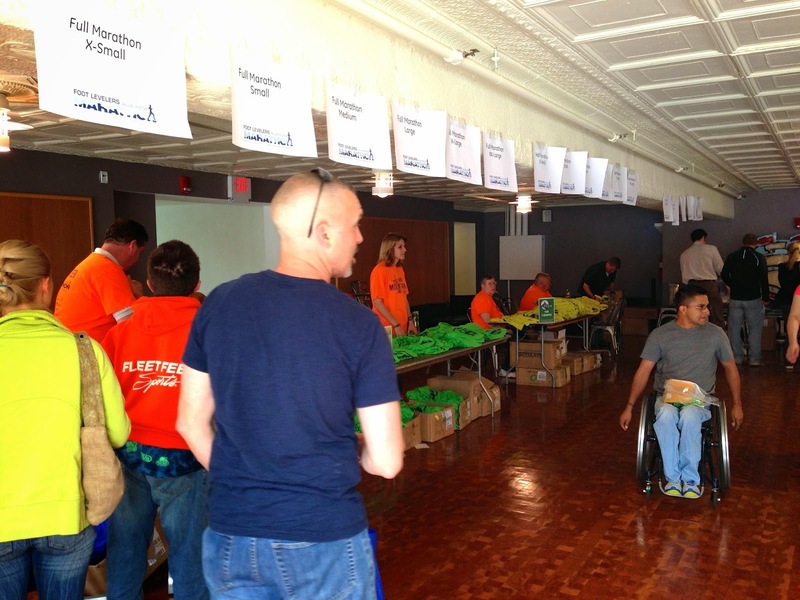 There were banners to sign and write on as well as "bibs" to write your reason for running. After packet t-shirt pickup, we ran a few errands in Downtown and while we waited, grabbed a sweet tea lemonade at Starbucks, perfect to cool down! While sitting there, I noted that in to months to the day, we will be husband and wife! One awesome thing about the Run In Remembrance is that it does not start at a silly early time. The RecSports department at Virginia Tech has decided to keep the race casual, meaning that it doesn't actually start until 9AM, with the large group photo taken around 8:45. This was super nice because I was able to get up and lounge around, have breakfast and a cup of coffee, and then run to the start of the run. I met Michelle at the start and we headed over to where people were assembling to take the VT photo on the Drillfield. This is a good time to mention that I decided to bring the GoPro with me to film the run and in my distracted state trying to get a neat shot of everyone forming the VT, I lost sight of Michelle into a sea of maroon and orange. Fortunately once the crowd dispersed, I able to find her and after only a brief reprimanding...continue my filming duties. However, I was much more conscious to always keep and eye on her. Whoopsie! The photo above was taken from a helicopter above the Drillfield. I thought it was pretty awesome how quickly they posted the photo because by 11:52 the photo was on the Virginia Tech Facebook page and I had tweeted it out! Michelle and I at the run start. After the photo was taken, we headed over to where the run was set to begin in front of War Memorial Hall. We would then follow the Drillfield clockwise down toward the Duck Pond and then hang a right on West Campus Drive before veering onto Duck Pond Drive. This year marked the first year they did not release balloons, which was good and simultaneously disappointing. I understand the reasoning but they do make biodegradable balloons now and the sight of thousands of maroon and orange balloons lifting up is pretty awesome (at least the pictures I've seen anyway). At the start, there was a sea of maroon and orange, the two best school colors in my opinion. Over 8000 runners were signed up to run and I'm sure even more decided to run the day of, which is possible because there is not a timing system or fee to enter the run. Nope. The run is entirely free! The view at the bottom of the Drillfield near the Duck Pond. To say that the weather was picturesque is a massive understatement. The trees are just beginning to bloom and they made for gorgeous pictures along the run route. Lots of participants were breaking the first rule of any running event, wearing the event t-shirt during the run, but because this run and not a race I think we can let them slide on this one. I'll chalk it up to showing Hokie Pride! Looking back down West Campus Drive. On the left in this photo, is the newly renovated Davidson Hall that resembles a periodic table of elements when looked at in a profile view from the left. It was here that there was a bit of a bottleneck as we condensed from three lanes of road to two. It was funny to watch some of the runners jump over the guardrail only to realize that they were later trapped at the edge of the Duck Pond. The view of the route along Duck Pond Drive. Eventually, we made a left onto the first of three "hills" on the course, which you see in the video below where I get a shot of the cadets caring the massive telephone pole(?) The hill leads up to The Grove, which serves as the university president's residence. It has an awesome view of the Duck Pond and campus! At the top of The Grove: You can see here that lots of folks walked the hill (which was perfectly fine) but you can also see the cadets beasting it up the hill with said telephone pole. At the bottom of hill leading down from The Grove, we made a right back onto West Campus Drive, now going the opposite way away from the Drillfield and after the second small "hill" on the course enjoyed a flat section heading toward Washington Street passing by Litton-Reaves Hall and a few dorms, as well as McComas Hall, one of the two gyms on campus and home of VT RecSports. One of the coolest parts of the run, aside from the overwhelming emotions that are unavoidable, is the opportunity to run through the tunnel entering Lane Stadium! Almost equally as cool is the opportunity to run down the home sideline on Worsham Field. I did mistakenly place about two inches of my foot on the grass and was quickly ushered off and told to move along. I suppose Tech does spend MILLIONS on that grass. After exiting Lane Stadium, the route cuts back behind the East Stands up the final hill of the course into Stadium Woods, a 11-acre of old-growth forest home to numerous 250-350 year-old white oaks. A quick right onto Washington Street followed by an immediate left onto Kent Street led to the long sustained downhill seen below. As we passed by War Memorial Court, commonly known as "the Pylons" and War Memorial Chapel, we entered the finishing straight lined by spectators and runners waiting for friends and family to finish the run. After crossing the finish line, we headed over to meet our friend Julie and her friend Kelly, whom we had run into out along the run and talked for awhile before finding water and pizza! Domino's at 10AM? Yes Please! I spent most all of the afternoon editing video I had taken during the run to produce the video below. I'm extremely proud of how it came out and feel like I learned a lot about what shots work and which don't as well as how to avoid reduce shaky camera issues. Make sure to watch the video in HD and feel free PLEASE comment on, thumbs up, and share the video. I even learned how to get video onto Instagram that is not on your phone, which requires a bit of...finagling...but created a pretty neat little teaser/trailer for the video. All-in-all it was an amazing and fun run and a great way to start off our weekend! I'm disappointed that I haven't participated before but it'll be on our calendar for the foreseeable future. Ideas were tossed out for making the run a real 32 for 32, which would require us starting super early but doing the last 3.2 with everyone else. @robbie_poff @ultraVT Sounds like a great reason to make it back to Tech for a weekend! Thanks to RecSports for an amazing event and to all the volunteers who were out there ensuring the run went out without a hitch today! Posted by Unknown at 2:02 PM , Links to this post , 0 comments I'm reading from MyDailyGround: 2014 3.2 Run In Remembrance Tweet this! Over the weekend, I received an outpouring of support and congratulations for finishing the 2014 Umstead 100 mile endurance run. While I fully intend to write a proper race report, I realize that reading about running around a loop eight times doesn't appeal to a lot of the folks who sent support my way on Saturday and Sunday. Further, I understand the value of such race reports in the weeks preceding a first 100 mile attempt but realize they have their time and place. Instead, I bring you my ten favorite moments (and then some) from this past weekend in what I can only describe as 18 hours and 47 minutes of elation. Yes. 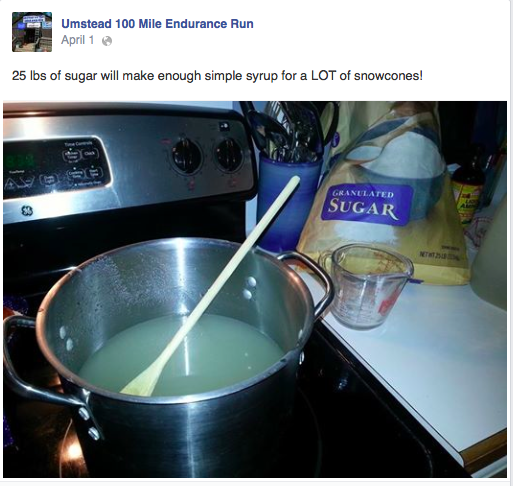 That is 25lbs of sugar they reduced to make simple syrup for the runners. SO MUCH thought goes into every aspect of the race. The pancake mix and cinnamon raisin french toast were also equal labors of love. I opted for lemon lime on race day but I had the option of four or five flavors. Note in the background the Vuvuzela (and buckle!) that was sounded as I entered the headquarters aid station each lap. The two orange power phrase bands came from Jordan and Rudy and said, "Embrace the Pain. 75 Down" after lap 6 and "Not Dead, Don't Stop. 87.5 down." These were awesome! 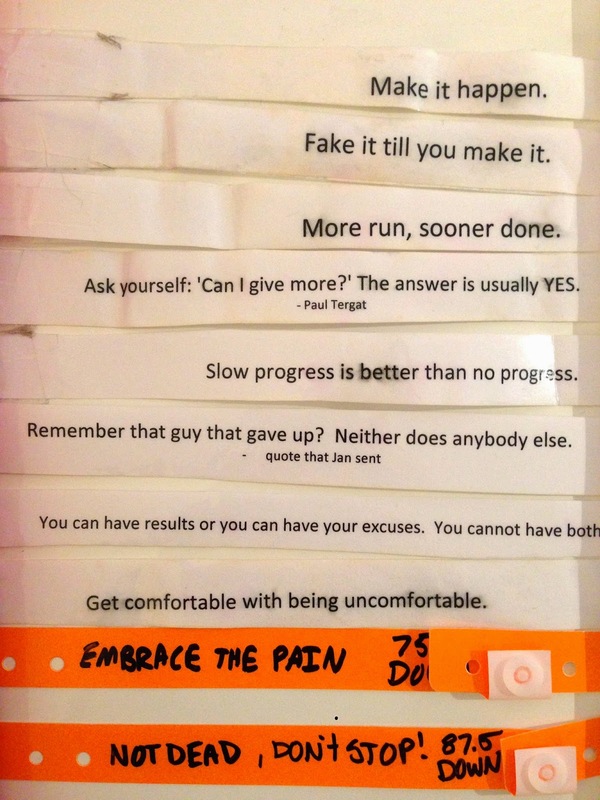 If a negative thought entered my head I looked down at these and used it to get me going again. My aunt Jan even sent in a power phrase, "Remember that guy that quit? Neither does anybody else." 8. "There's a raffle after the race and one of the prizes is an industrial tortilla steamer"
Rudy joined me for miles 65-75, see number 5 below, and somewhere around the lap he pulled a pretty good prank on me that was a much needed laugh. Rudy: "Hey, did you hear there's a raffle after the race tomorrow morning? I think it's at like 10AM. One of the prizes is an industrial tortilla steamer!" Me: "Wait! What? NOOOO" Call me gullible. I suppose one can hope right? 7. "You'll see the pine needle where we start to walk." I marked points on every hill/incline/mound/elevation gain on the course early in the day with landmarks (i.e. specific trees) so that later in the day I would continue to run to those landmarks in an attempt to keep the same effort throughout the day. The last real hill before returning to the headquarters aid station was on a big open road without a distinguishable tree to indicate a point to start walking. However, there was a pine branch that was in the middle of the road that I used to mark about the halfway point of the hill. I told Jordan this on our first of two laps, so around 86 miles in. He had a pretty good laugh and didn't understand how I could mark the course with A pine needle. I suppose in my tired state I didn't do a good job explaining what we were looking for, nonetheless I LOVED seeing that pine branch each lap. 6. "@RBSherfy is KILLING me"
The last lap was all business. Make it to the middle aid station and by 17:30 and then finish sub-19, which I felt was achievable considering that I had done the back half in close to an hour every lap. We ran all the downhills and POWERHIKED the uphills. I forgot to mention that Jordan crushed the Mountain Lake Hell Climb Saturday morning and then drove down to Raleigh to run 25 miles with me. Can you say BEAST? 5. "YOU'RE SUCH A LIAR!" So I come into the headquarters aid station after my fifth lap, now 62.5 miles in, and Michelle is not at the car and nowhere to be found, which wasn't an issue because the aid station volunteers took care of everything I needed. When I left the aid station, Michelle was at the car and dressed to run with me, which didn't make any sense because she was not planning on running because of IT band issues. She said Jordan would be around the corner on my way back but was parking the car. We did the out and back airport spur, so the first two miles of the course and when I came around the corner RUDY pops his head out from around the gate to which I reply, "YOU'RE SUCH A LIAR!" Rudy had planned on coming but as we were getting on I-81 on Friday afternoon, I received the text below letting me know he wasn't going to be able to make it. To say that it was an AWESOME surprise would be a huge understatement. I suppose I'll let him slide on getting my hopes up about an industrial tortilla steam, so perhaps my reaction was accurate?!? but it was awesome having Rudy with me on lap 6. He pushed me to start 10 feet earlier then my marked trees, go a little harder on the hills, gave me a random fist pound every now and then to keep my spirits up, GOT ME TO DRINK FLUIDS AND TAKE GU, and basically left me in much better shape for Jordy who I was going to run laps seven and eight with. We had a blast, laughed, and enjoyed doing what I love doing, running with friends. 4. Notes of encouragement from family and friends. Michelle really exceeded expectations here. 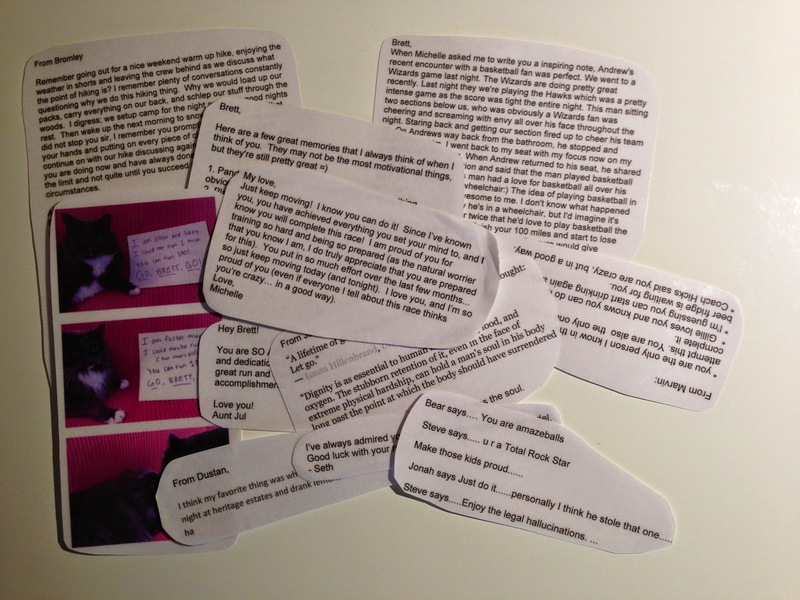 I mentioned above that I had asked her to make power phrases to take with me for each lap (See Number 8 above) but she took it upon herself to collect notes of encouragement from friends and family. Each lap she would give me a new note to read, on my long walk out of the aid station up the hill while I ate food. Some were hilarious and others were encouraging; all were very special and kept me going. I carried most of them with me during the run (as long as they fit)! 3. Tammy, Rick, and the countless other runners, crew, and volunteers who gave their support. 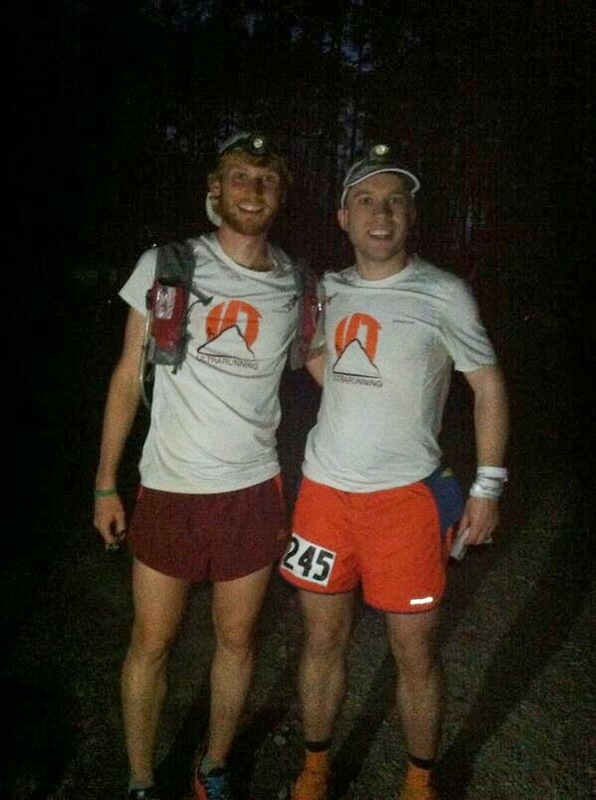 I would argue the camaraderie between ultra runners is unparalleled. I met Tammy at Terrapin Mountain and she let me know she would be at Umstead this year, a comforting thought knowing there would be at least one familiar face at the race. However, I did not have the opportunity to meet her husband Rick, a now seven time Umstead fininisher, who perfectly compliments her warmheartedness and welcoming attitude. Michelle spent the majority of the day with Tammy, which was so nice and thoughtful making her feel welcome when she didn't know anyone else at the race. Throughout the weekend, I was overwhelmed by the hospitality and warmth everyone showed us both at the aid stations and out on the course. It was incredible how supportive other runners were when you would pass them on the either the airport spur or on the section shared between the outbound and inbound loop. Shout outs to Rick, Mike Pastore, and two gentlemen whom I don't know their names but met before the start (Richmond and Alexandria). Whenever I entered the area where Michelle and Tammy were setup, along with lots of other families and crews, I shouted VUVUZELA!!! to let them know I was coming because I couldn't see around the bathroom pavilion in the photo below. When I rounded the corner after my second lap, I shouted Vuvuzela quickly followed by "PARENTS?!?" in disbelief of seeing MY parents standing with Michelle and Tammy! It was such a surprise to come around the corner and see them there with Michelle. Michelle was ready with the camera and captured my surprise as I came down the hill and obvious excitement of seeing my parents, whom I hadn't seen since the holidays. They made the 4+ hour drive each way to see for maybe 15?!? minutes of time in the aid station. Unfortunately, they had to drive back and work on Sunday, which further makes their trip that much more special. They spent 10 hours in the car to see me for 15 minutes. 1. Crossing the finishing line and being welcomed by Michelle, Rudy, and Jordan. If only I could bottle the elation and euphoria of this moment and save it for a rainy day. I wasn't even really all that concerned about having completed the race as much as I wanted to let those three people standing there, who had given so selflessly and generously their time and support, a hug and express my gratitude. I'm pretty sure I gave them all a hug...and maybe a kisses too?!? I simply felt overcome with gratitude and appreciation for having Michelle, Rudy, and Jordan there in that moment. Two days post race, I'm feeling surprisingly well and not too sore. Sure my feet hurt but considering the event I'd say that's to be expected. I do have a slight confession though. In the weeks leading up to the event, I was living in fear in many ways. Fear of the unknown. Fear of getting sick the week of the race. Fear of stepping on a pine cone the wrong way when walking Gillie and rolling my ankle. When I crossed the finish line, it was like all of that fear had been taken off my shoulders and I had accomplished something associated with a full-load of self-induced pressure. As I stood around the finish line chatting with everyone, someone mentioned cinnamon raisin french toast was inside and asked if I would like some. I had been thinking about it all week since I had seen it on Facebook. It was delicious! Can you tell I'm excited about it? 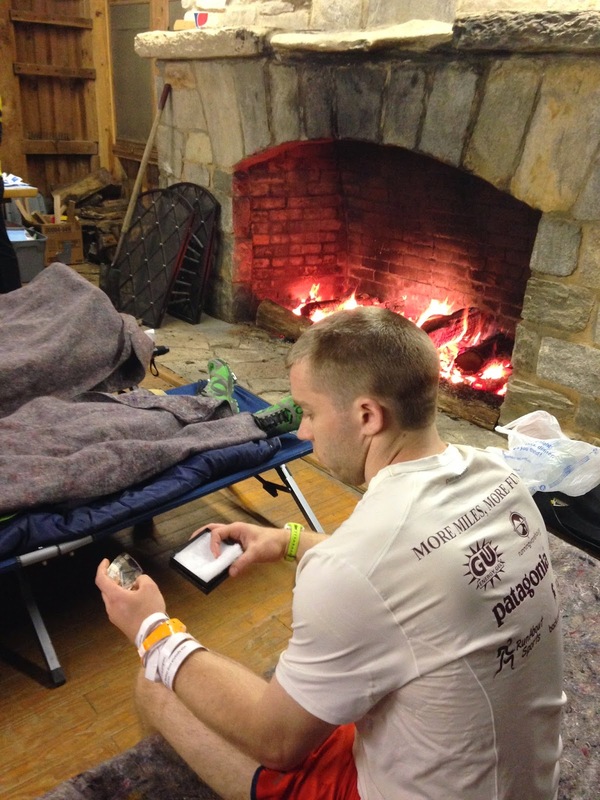 Post race, they had a fire inside the headquarters aid station building for participants who were struggling and for other runners to get warm by. The fire felt amazing and made the french toast taste even better. The photo kinda looks like a jerk photo though as I sit there looking at my buckle next to people laying in cots (that kinda look dead?). I might not have openly admitted it but I really Really REALLY wanted to go under 24 hours. 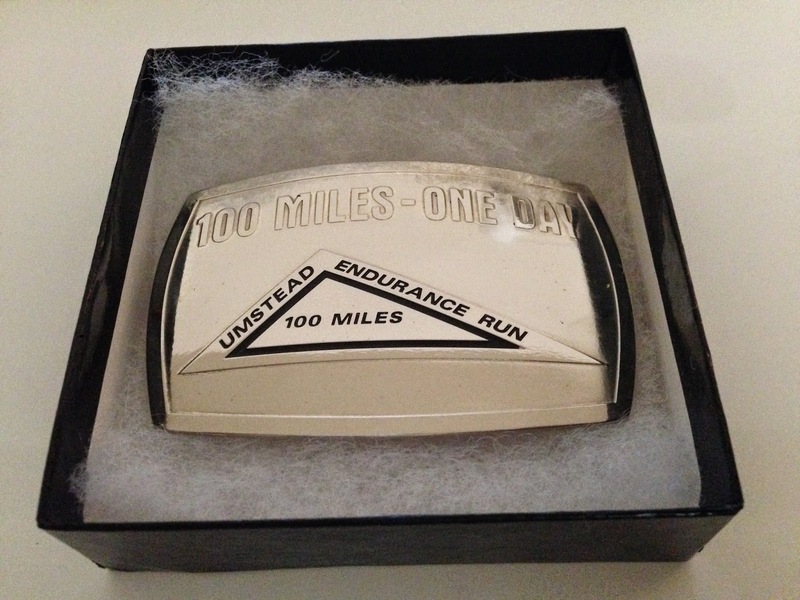 The are four belt buckles that finishers can earn including the one below, 100 Miles - One Day. The other three are Champion, 100 Miles, and 1000 miles for 10 time finishers!!! I've been wanting Five Guys since I did a training run with Geff way back on February 19nd but exercised self-control to not get it because I know it's not good for me. However, I was determined to get it on Sunday after the race and Michelle drove there as our first stop. I received the above text from Keely, which I thought was appropriate and also incredibly accurate. I suppose I'm kinda predictable in that way. Hey! What can I say? I like to eat so I run a lot! Michelle laughs but I genuinely had fun the entire day (except the 30 seconds I got sick leaving headquarters aid station starting lap 5) but it was a fun and enjoyable experience. I didn't feel miserable or like I wanted to stop and with the amazing support crew I had, support from runners and volunteers out on the course, and a surprise visit by my parents the day went by in one enjoyable euphoric blur. 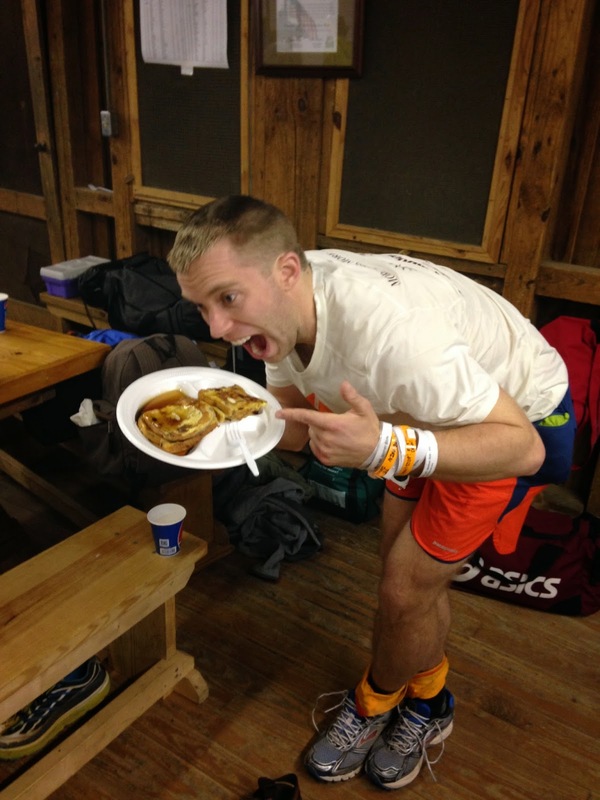 Posted by Unknown at 2:14 PM , Links to this post , 1 comments I'm reading from MyDailyGround: Top Ten Moments of Umstead 100 Endurance Run Tweet this!